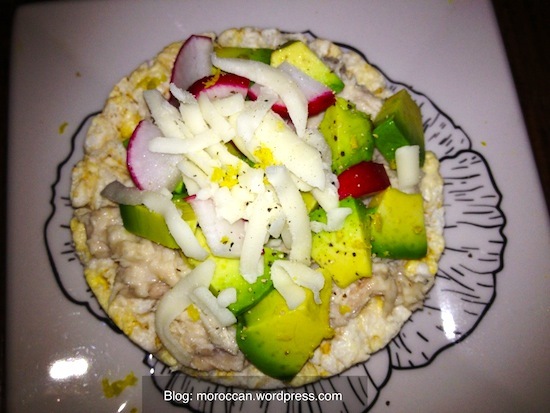 This quick rice cake recipe is great light treat for when you feel hungry between meals. Divide the tuna mix and place half on each rice cake. add diced avocado/radishes, add 1 tbsp of shredded light mozarella on each, sprinkle with black pepper and lemon zest!